Hear from Harold Hollingsworth, the artist whose work is hanging at TASTE Café in SAM on adulthood and art life in ever-changing Seattle. 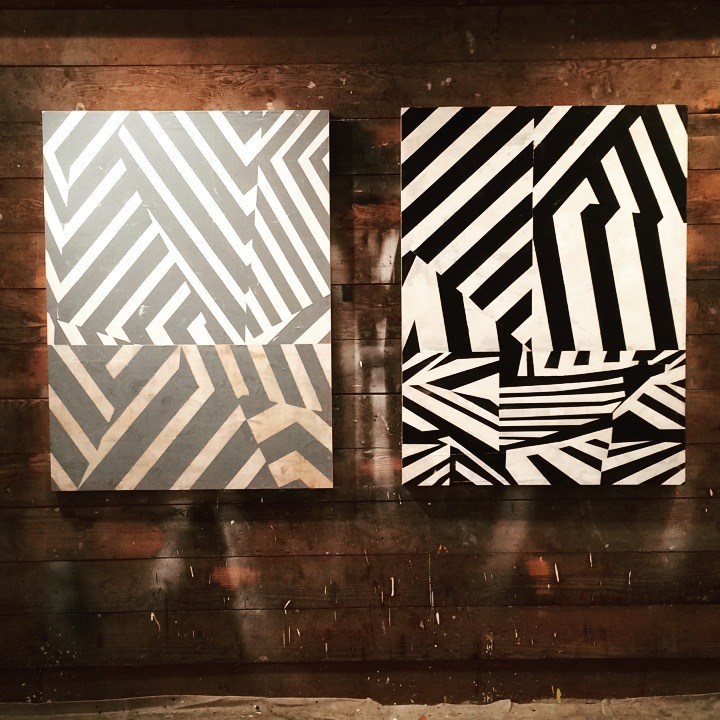 See how the textures of travel, the shapes of imagination, and the colors of Seattle’s urban ephemera all combine into the abstract and graphic work of this talented SAM Gallery artist. On view through February 4, all the artworks on view in TASTE are available for purchase and SAM members have the option to rent to buy! The question as to being an artist in Seattle is a ever fluid one in my case. I’ve been here most of my adult life so it’s part of me and I feel a part of her. The city, like myself, is in a constant state of change, trying out new things, celebrating when it can, and admitting mistakes the best it can, openly. I use the city as a partner in collaboration, seeing graphics I can borrow, from a wall with paint or flyers, or a sign coming apart ever so beautifully. I travel away from her from time to time, seeking new inspiration from other places or cities, but I always return and see her again in a new and dynamic way. I’ve had studios in the center of the city and to the south and now the north of her. These places contribute to my work in small and ongoing ways. I keep my eyes open when I move around the city whether on a bike, on foot, or in a car. My camera is always ready for an assist, a sample of something I can use in a new painting—there’s always something available to those who stay attentive. Photo: Courtesy of Harold Hollingsworth.